One of the most demanding jobs a pianist can have is playing for individuals or groups of people while they sing. Why is it so difficult? It doesn’t have to be, but it is very different from playing on your own. Here are some tips for you to consider as you prepare to accompany your favorite singer in a performance. This might seem like an obvious suggestion, but you might be surprised at how many times pianists are un- or under-prepared for their task. So, the first and most important part of a successful performance is to be very familiar with the music. Where are the tough parts? Marking them in with a highlighter so you know when they are coming can be helpful. How can you be ready for page-turns? Do you need to recruit someone to turn pages for you? Are there unexpected key changes or time-signature changes? Your vocalist partner will be counting on you to be aware of these things and to be prepared. 2. Make sure your volume level is appropriate for the setting. You need to take a look at the room where you will be performing before you begin. Check the acoustics to be sure the piano is not too loud. It can be very easy to get involved in the beautiful music you’re playing and not realize that you’re too loud or too soft. If possible, have someone else listen from various spots in the room to see how your instrument sounds. Is the vocalist using a microphone? Is your instrument miked? You need to check on all of these things in advance. If you are fortunate enough to have a sound person on hand, make sure he is aware of the level of your instrument’s sound levels, and not just focusing on the singer. It is important to be sure you have a well-balanced sound. Unbalanced levels can spoil an otherwise exquisite performance. 3. Don’t play the melody along with the singer. This may be questionable advice, depending on the circumstances of your performance. If you are playing for an amateur or a child, you may find that you need to help them in their performance, or that they can’t find the melody without you. However, if you are playing for a professional or even a good amateur, you probably don’t need to play the melody. In fact, at times it can be quite annoying to hear the melody line played along with the singer. What do you do if the sheet music includes the melody in the accompaniment? You can usually simply avoid the lead line. Sometimes this means leaving out the top line of three staves, or the notes with tails pointing upwards on the treble line of a grand stave. If you are a good enough pianist, you may be able to improvise a counter-melody with your right hand. Another option, If you are capable of it, is to follow the guitar-chords that are often included above the staves. This kind of improvisation can be challenging if you are not used to doing it, but it can be particularly effective if you are playing jazz or pop music. Of course, this advice is given with the understanding that the vocalist must be comfortable with whatever you choose to do, which brings me to the last bit of overall advice. 4. Make your vocalist into a star! I’m sure you are a great pianist and you are to be congratulated for all the years of hard work it takes to get where you are. That being said, when you are accompanying a vocalist, you must always strive to stay in the background. If you do your job correctly, the listening audience should hardly be aware of your presence. Follow the singer, no matter what! You may be an excellent sight-reader. You may always be right. That is not the most important fact during a vocal performance. The vocalist is the star, and you are there to back her up, no matter how great you are. It may be very likely that you are the better musician of the two of you, but your job is to make her shine, so even if she makes mistakes, you must do all you can to prevent your audience from knowing it. If you need to slow down or speed up to follow her, do it. If she is a good vocalist, she will be interpreting the music according to the emotion of the piece, so it’s essential that you follow their lead. Don’t forget to employ your soft pedal when needed to make the dynamics of the music bring out the emotion of the singer, and come out strongly with energy and power to highlight the excitement and drama when appropriate as well. Although the singer is the star, no performance is complete without the talent of a good accompanist. You can make or break it! 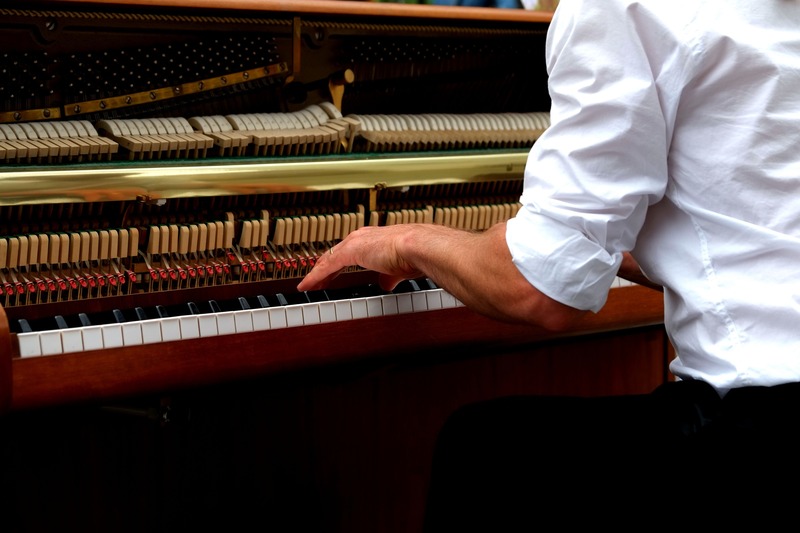 By remembering and practicing these simple tips, you can become an accompanist extraordinaire! Church music ministry looks different than it did 20 years ago, and even 10 or 5 years ago things were vastly different than they are today. Church pianists have to adapt. Skills that worked long ago must be developed, updated, and built upon. As one of our church’s pianist, I’m constantly reminded of the need to change things up. Change is a good thing. Here are a few ways you can change things up, and hopefully see improvement in your worship service. I’m not suggesting that we need to be less creative. The fact is, it takes a great deal of creativity to accomplish your accompanying goals in a minimal manner, as opposed to using more and louder notes. Less truly is more. When it comes to congregational singing, what is the most important element? The accompanist? No, not really. Sure, the accompanist provides support and confidence, but the singers are the most important part. It’s what it’s all about. Seek ways to emphasize the congregational singing. For me, it involves not always playing the melody, especially when it’s a song that the congregation knows extremely well. For example, songs like “Amazing Grace,” “In Christ Alone,” and “I Sing the Mighty Power of God,” rarely need the melody played. I can emphasize the congregational singing by minimizing the notes that I play. Let’s face it: The model and techniques we were taught in the university 20, 30, or 40 years ago aren’t always relevant to what we’re doing today. You’re going to need to modernize your approach. The stride that was popular generations ago is–by and large–rarely ever used today. I rarely use full 4-note chords to achieve a loud sound. I’ve found I can achieve a loud sound with just a few notes, and be even more effective. I’m not suggesting that older techniques and effects were wrong. They served their generations well. It’s just that modern ears are used to something different. Find out what that is, and employ it. This is the first in a series of articles I will be writing about challenges facing church pianists today. It grows out of this article, which seemed to hit a nerve. 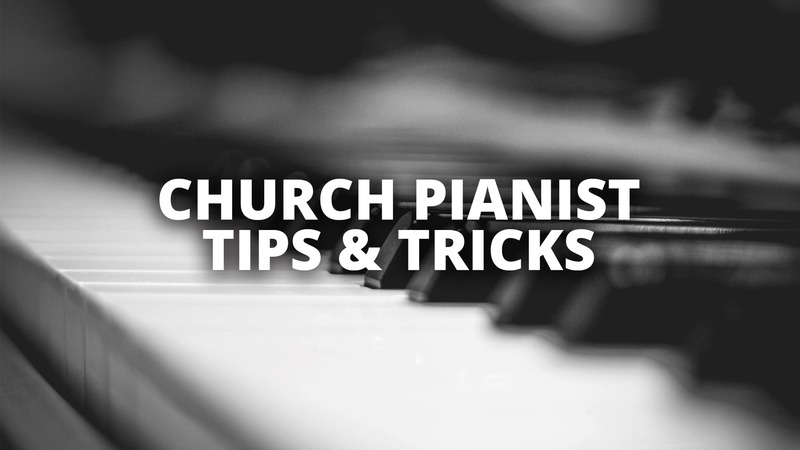 Church pianists are valuable resources to the church. Just ask someone who attends a church without a pianist, and they’ll tell you how important they are! When a pianist prepares an instrumental solo, what’s involved? Many things. Initially, there is the time investment to peruse and discover new and appropriate repertoire. Then there is a financial investment made to obtain this music. Finally, there is the mental and time investment for preparation, which may include many hours of rehearsal. Add to that the stresses of performance, like perhaps dealing with the quarks of a less-than-ideal instrument, awkward or difficult page turns, air handlers blowing your music everywhere, or coping with stage fright and performance anxiety. All of this, so that the congregation can take part in a special aspect of worship through music. Scripture is replete with God’s desire for instrumental music (2 Chronicles 29:25-28; Psalm 150; Revelation 5:8, 14:2-3, 15:2-3). Psalm 33:3 seems to have a directive specifically for instrumentalists: play skilfully and loudly. The passage seems to emphasize a need for precision and confidence. When this is achieved, an opportunity for worship (minus the distractions) exists for those who listen. I also think you can make a case that, when instrumental music is not accompanying singing, it ought to be used to remind us of songs the congregation already knows, so that the truths of those songs can be non-verbally communicated (reminded) through the music. Not everyone sees it this way, and there is certainly room for varying viewpoints. Bottom line: the music serves a purpose. If a congregation is unengaged, uninterested, or otherwise distracted, it will deflate any purpose of the instrumental worship. Ultimately, a church pianist is not responsible for the behavior of a congregant, any more than a senior pastor is responsible for bad behavior during his sermon. It’s important for pianists to remember this. We should be very thankful for pianists who dutifully perform their responsibilities, regardless of the attention level, response, or outcome. They have the right perspective. They are ultimately playing for the Lord, and they are grateful for the handful of people who “get it,” and find encouragement and worship opportunities through their keyboard artistry. A congregation that is disruptive during an instrumental offertory simply doesn’t understand the opportunity for worship they are carelessly discarding. A church pianist would be wise to work with the leadership of the church (the pastor, the worship pastor, the song leader, etc.) to identify the problem, and seek appropriate resolution. Perhaps a song leader merely needs to occasionally remind the congregation that the offertory is not filler, but rather an important part of service. If there are “main offenders,” they need to be gently and personally approached, and dialog should take place to find a solution. What else can be done to emphasize the spiritual ministry of the instrumental? Make lyrics available to the congregation, whether on overhead projected screens, or in the bulletin. Even if lyrics to the entire song aren’t practical, include just the refrain, or a main thought from the text. In addition to helping emphasize the meaning of the music, this might just help with quieting people down. Pianists should also evaluate their playing. Listen to recordings of your performances. Ask some questions to help when evaluating. Is this arrangement interesting? Is it unnecessarily lengthy? Am I playing with expression and dynamics (or am I just pounding)? What can I do differently to build more engagement into the mix? Would I enjoy listening to someone else play this? In my experience, the prelude and postlude serve as background music, and talking by an entering or exiting congregation is expected. I plan accordingly. But for offertories, we still regularly feature the instrumental solo, and our congregation knows this is an opportunity to worship God through their joyful giving in the offering plate, and through thoughtful meditation of the Scriptural truths presented through the message of the song being played. It is our prayer that we will point people to Christ through our ministry. I recently posed this question on my Facebook page: “What challenges do you face as a church pianist?” There were many responses. It was surprising. You can view the post here for yourself. People talking during the instrumental offertory. So, apparently this doesn’t just happen at my church! 🙂 The prevailing consensus is that it really comes across as rude, especially to the performer (effort, time investment, etc. ), and to the purpose of the offertory (to minister through the message of the song). Phasing church pianists out. Many churches are transitioning from traditional music to contemporary music, from the traditional choir and orchestra, to a few featured voices and a band. As a result, the trend seems to be putting church pianists out of a job, or at least out of a job as they knew it. Some fortunate church pianists will adapt, although not always happily. Others will be out of a job. It certainly doesn’t feel good to have a ministry that is no longer needed. Finding music that works. While some have difficulty finding more challenging music (publishers seem to be publishing more intermediate level music, no doubt because it probably sells better), others have trouble finding music that isn’t too difficult for them. I’m pretty sure this is a challenge that faces all musicians, and each musician has their own method for finding the music that works for them. Finding music that works for the musicians they serve with. Many church pianists are involved in the planning and preparing of church music for vocalists and other instrumentalists. It can be challenging finding music for your musicians, especially if they are not all studio musicians. 🙂 Less experienced musicians will need easier music, or music that is simplified. It sure would be nice to have a go-to resource that would provide such music, or at least point people in the right direction. Training future church pianists. This is such an important endeavor, something that today’s church should take a long and hard look at. There seems to be a distancing from education in the church. While the church’s purpose is not primarily education, it is undeniable that the church should have a role in training future church musicians. Specifically, church pianists face the challenge of how to convey their artistry and years of experience to young learners. A further challenge is finding opportunity for these young learners to participate in worship, so that they have the chance to gain experience and grow as a church musician. Lack of dedication from other church musicians they serve with. In my experience, church pianists are some of the most dedicated church musicians. I’m not just saying that because I am one. Really. It can be very discouraging when another scheduled musician chronically cancels at the last minute, or half the choir doesn’t show up to rehearsal. 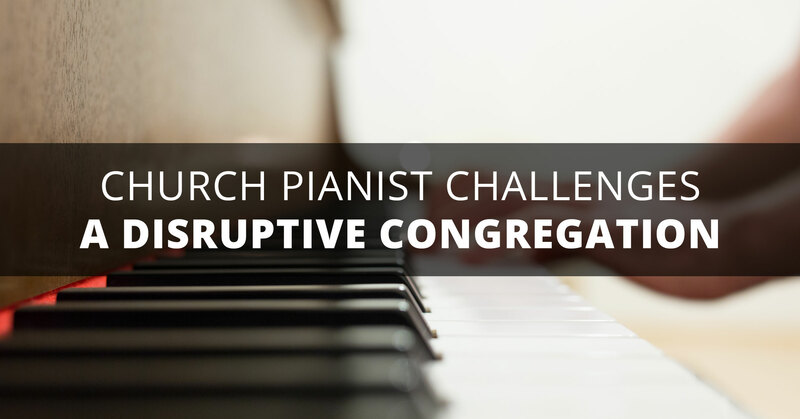 Added to this challenge is the fact that most church pianists aren’t in a position of authority to deal with this issue. In most cases, other than appealing to the church leadership (worship pastor, choir director, pastor, etc. ), they very often have no recourse and must altogether keep silent on the matter. Too much of their time monopolized. I can see this. If a church has only one pianist, my heart goes out to that pianist. No doubt they are asked to play for every service, for multiple elements in each service. All of this takes rehearsal, and often, much preparation is needed before rehearsal can even happen. This has got to be a big challenge for many church pianists today. I’m convinced: being a church pianist is not for the weak of heart. There are genuinely difficult challenges for those in this field. 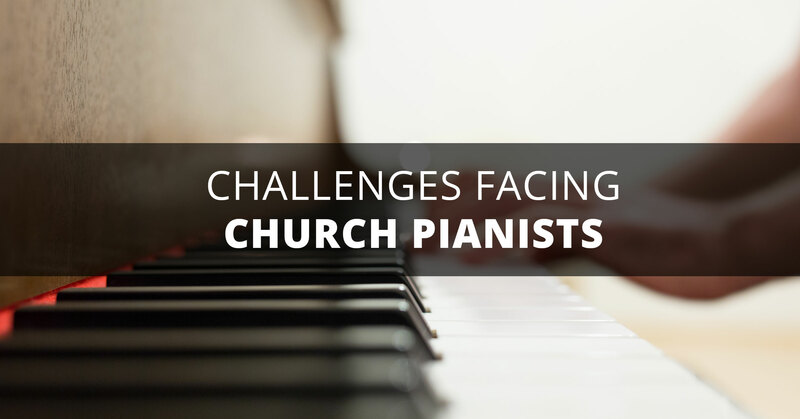 I’d be interested in learning of other challenges you face as a church pianist. Even more importantly, I’d like to know how you overcame some of these challenges. As church pianists, our goal should not be to wow the congregational with our technical fireworks. Rather, we should focus on communicating a message, and by doing so, touching hearts. Sometimes you just need to simplify the arrangement you are playing. Maybe it’s too technically demanding for you. Maybe you don’t have adequate time to prepare. Maybe you were handed the song moments before the service started (crazy, I know). Whatever the reason, I promise you, there’s nothing wrong with simplifying. Here’s an example of the refrain of “At Calvary.” Taken at a quick tempo, this right hand could be a challenge to some intermediate players. This should make life easier, at least until you have adequate time to rehearse the first example. There’s no reason why everything you play in church has to be difficult to you. Find your “sweet spot,” and play in it. The more you do, the more you’ll be able to effectively minister and touch hearts. Being a church pianist can be a tough job–especially when you are the only pianist in the church. Greg Howlett wrote a great post for the busy church pianist a few years ago on this blog. Check it out, because he provides some great advice. Truthfully, I have been blessed to be in churches where the keyboard accompanying responsibilities have been able to be spread out among at least a couple individuals. Currently, we might have one accompanist who plays for the choir, another who might play for a soloist or ensemble, another who might play for an instrumental offertory, and I play for the congregational music. As much music as we do, it is almost a necessity to have this many pianists involved. However, many churches have just as much music, and have only one capable pianist who can play adequately for the service. Ouch! This has got to be hard. These pianists plod forward week after week, service after service. They are very faithful (they have to be! ), arriving early and staying late for additional rehearsals, spending various amounts of their free time learning music to play that will probably not be repeated. They have choir music, music for specials, instrumental offertories, preludes, postludes, and invitational music to learn/rehearse/brush up on. And yet they must avoid even the appearance of burn out. My hat goes off to these musicians. If you are one, I say: bravo! And, thank you. I used to think I could do it all, but the older I get, I am just thankful when I get a break in the service and someone else plays. And I’ve noticed that when I play for the majority of the service (more than normal) that my brain starts to slow down, and I make a lot more mistakes. If you have more than one accomplished pianist in your church, be thankful, and utilize them to the degree that they desire to serve. If, however, you only have one, be sure that they are taken care of and appreciated. It’s hard work, and it can be a thankless and unappreciated job, especially in volunteer settings. What’s your experience? Do you serve with other accompanists? Or are you the only one? Please join me at my church (Mikado Baptist Church in Macon, Georgia) for a gathering of church pianists! This year, on October 20th, I have the distinct privilege of hosting this conference with guest clinician Cindy Berry. Click here for the official information as well as online registration. Many of you are very familiar with the music of Cindy Berry. She has been writing for choirs, children’s choirs, and church pianists for years. 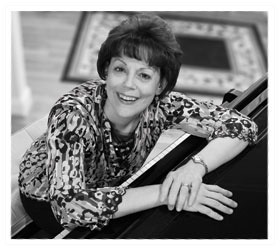 As a church musician herself (and a spouse of a music pastor), she has been blessed with a unique understanding of the needs and concerns of pianists who serve in local churches. Her experience, expertise, and meek spirit will inspire and challenge you to “next level” artistry and ministry. So register today! The registration deadline is Monday, October 15th. I will periodically be posting new information about this 1 day conference on my Facebook page, so be sure to “like” the page so you can keep up with all the exciting news. As I met and have gotten to know a little more about Cindy (exclusively through email! ), I can tell you that it’s going to be a great seminar full of helpful topics and useful information. The wait is over! Many have asked, How (or when) can I get the sheet music for the songs on your Wondrous Love CD? I’m pleased to announce that all of the songs from Wondrous Love have been published by Alfred Music Publishing in two Sacred Performer Collections: Wondrous Hymns, Books 1 & 2. Publisher’s description: Arranger James Koerts thoughtfully created these fresh renditions of traditional hymns. His contemporary arranging style, which blends syncopated rhythms and unexpected key changes, is sure to encourage inspired performances. Titles: Amazing Grace * Day by Day * He Leadeth Me * Jesus Is All the World to Me * Love Lifted Me * My Redeemer * Only Trust Him * ‘Tis So Sweet to Trust in Jesus. 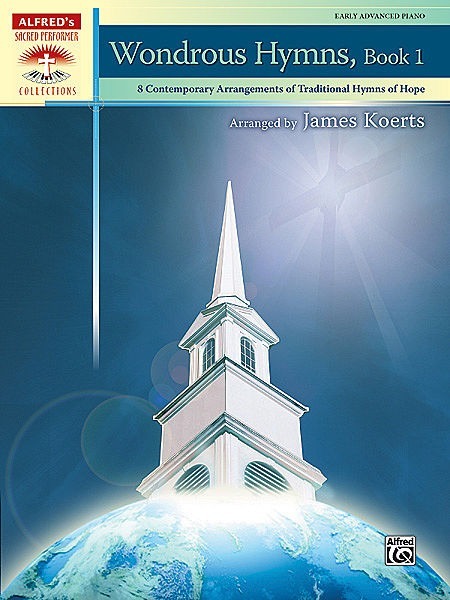 Publisher’s description: Arranger James Koerts thoughtfully created these fresh renditions of traditional hymns. His contemporary arranging style, which blends syncopated rhythms and unexpected key changes, is sure to encourage inspired performances. Titles: Crown Him with Many Crowns * Holy, Holy, Holy * I Sing the Mighty Power of God * I Stand Amazed in the Presence * It Is Well with My Soul * Our Great Savior * The Solid Rock * What Wondrous Love Is This? The Mikado Academy of Music is hosting a seminar for church pianists on Saturday, October 9. Last year’s church pianist seminar was such a huge success that we decided to make it an annual event. This year we’ll be featuring guest pianist, composer, and recording artist, Faye López. If you’re interested in developing your skills as a keyboard musician in your church, then consider attending this one-day event. You’ll be encouraged in your ministry work. Your registration ($25; $15 for students) includes a seminar notebook, a catered lunch, and some extra freebies. It will also be an opportunity to meet and connect with other church musicians in the field. Check out the seminar brochure for more information. Also, check out the seminar’s website to learn more and register. I hope you’ll consider attending; I’d love to see you there! Great choirs have great accompanists. The extent of a choir’s success, to a large degree, is dependent upon it’s accompanist. The choir accompanist plays a vital role in the overall choral ensemble. As a musician, there’s always room for growth and development. There are some excellent resources out there for church choir accompanists. (An excellent recommendation is Choral Questions and Answers, Vol. 5: Accompanying [Pavane Publishing]. You can check it out here.) I know of very accomplished (and professional) musicians who continue attending private music lessons to further their musical development. Not a bad idea. There are basics to choral accompanying that are essential. The accompanist is part of the leadership team and, as a result, must remember that greater expectations exist for leaders. Concepts such as arriving on time, dependability, and being prepared for the rehearsal, are critical. Further, a right attitude and team spirit are vital to the success of the music ministry. (This can be especially difficult in situations where an accompanist may feel they have more training or are a better musician than the director.) Finally, a good church accompanist exemplifies godly character and is a role model to young Christians. If you’re looking to take your accompanying skills to the next level, I’d like you to consider a couple of things. You can develop and master these to become a much sought-after choir accompanist. Working together with another musician (the director) will probably require great flexibility on your part. The director may have an entirely different interpretation of a song than you. Be willing to publicly embrace all suggestions and ideas, and save your opposing opinions for private appeals. Regardless, be willing to follow and support the direction of the leader. During rehearsal, an accompanist—if not careful—can actually slow down the choral learning process. Over time you will have the opportunity to study your director and how they operate a rehearsal. You will be able to sense when he wants all vocals parts played consecutively. When he says, “let’s rehearse the tenor section here,” you will be able to know to immediately play the tenor’s starting pitch. Though genuine mind-reading will never truly be achieved (wouldn’t that be nice! ), you can develop your anticipation of the process. Anticipation requires attentiveness to details, a clear knowledge of the director’s approach, and an alertness to all instructions. I’d like some feedback, if you would. 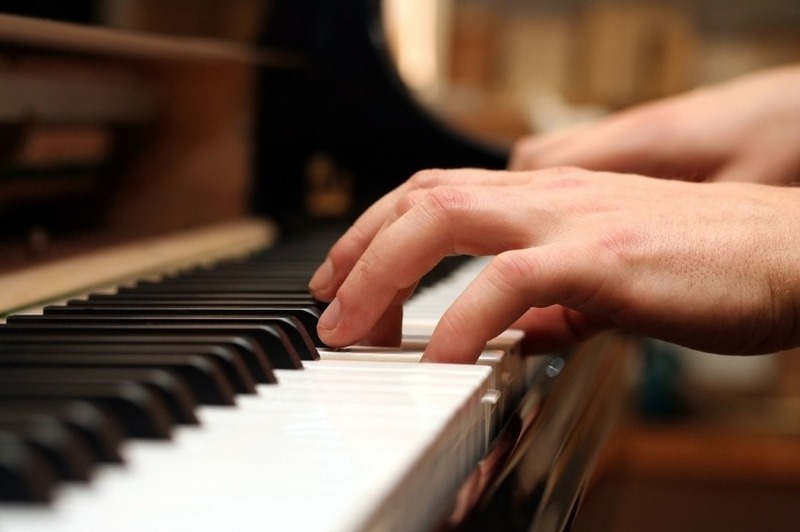 As an accompanist, what things have allowed you to excel in your field? As a director, what else would you recommend to any accompanists that might potentially read this article? 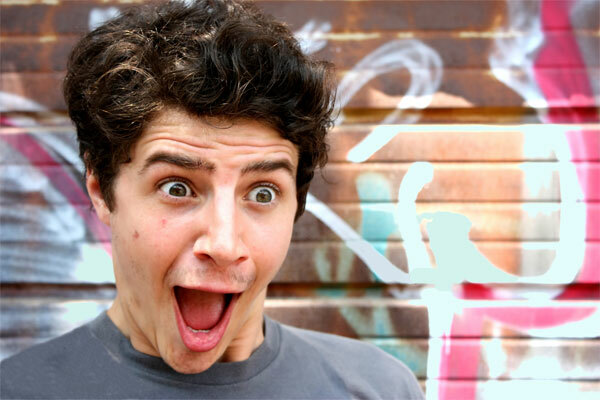 Here’s a list of ten things you probably shouldn’t say to your church pianist, whether or not they’re true. That song was one of my favorites. What was the name of it, again? You play like a man. Thanks for your offertory. It gave me just enough time to read the church bulletin from cover to cover. You did a great job. Did you ever take piano lessons? I would give my left arm to be able to play like you. That was the best you’ve ever played. I only heard a few mistakes. Did you sneak a Paul McCartney tune in your prelude? How exactly did your song selection fit with the rest of the worship service? I’m dizzy after hearing you play all those notes! You sounded much better when I turned off my hearing aids. Can you add to this list? What else should be left unsaid regarding church pianists?